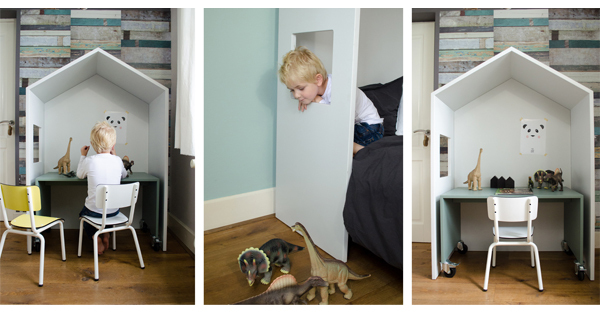 If you’re looking for some interior inspiration for your child’s room, this versatile furniture collection by Dutch company Bedhuisje (Bedhouse) is a goldmine of possibilities. The work of Mignon van de Bunt, an interior designer and mum-of-three, the Bedhouse collection includes a simple and chic bassinet for tiny babies and a cot for toddlers, with a sweet unisex wooden house that can be used in a variety of ways. It’s a sleep nook, life size dolls house, reading corner and cubby house all in one, guaranteed to inspire hours of imaginative play and fun. Plus it creates a stylish and beautiful focal point for your child’s bedroom that grows and evolves with their changing needs. 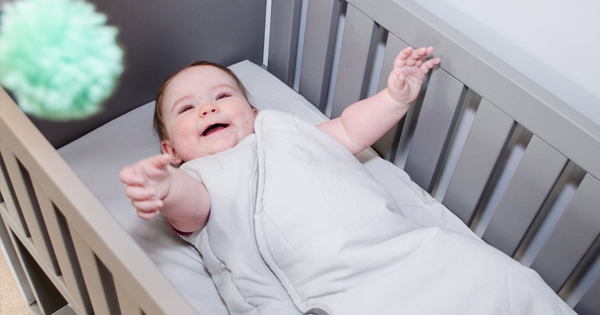 Place the white wooden house over the elegant bassinet or cot so baby can sleep in his own little house, then use it as a head board once your little one moves into her first bed. When it’s time to sleep the Bedhouse provides a wonderful feeling of cozy security for bub, tucked in underneath their own little roof. Both the bassinet and the bed house are available in five fresh and modern colours. The width of the wooden house is 103cm so it can be used with a regular single bed. The height is 150cm, which means there’s still room for you to snuggle in with your child when it’s story time. The cot is priced at €495, the bassinet is €464 and the bedhouse is €395. Shipping is available worldwide, from Bedhuisje.